"Beautiful Homes in Outstanding locations". 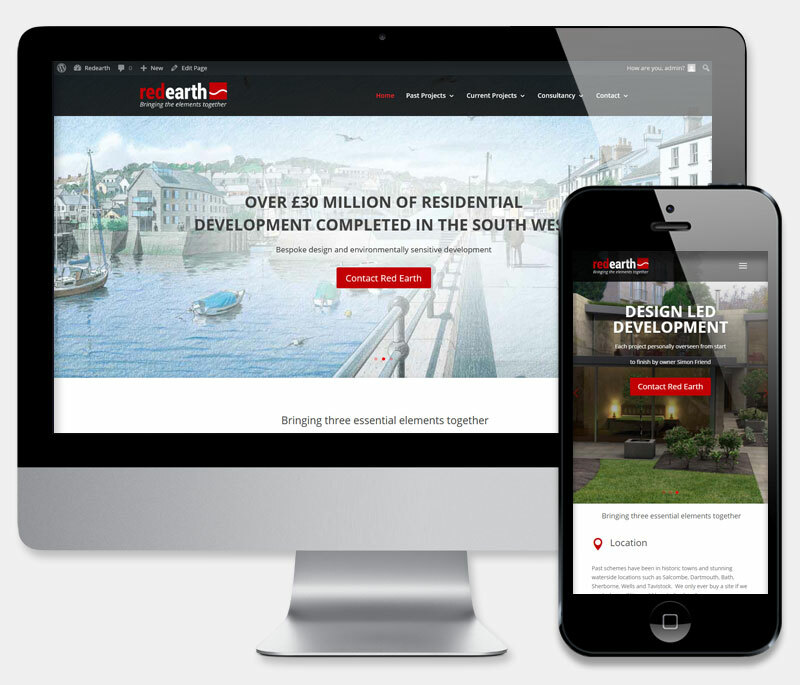 Based in the South West of England, Red Earth development specialise in seeking out the finest locations and creating sympathetic and beautiful homes. Red Earth's existing site was in need of an overhaul. Our brief was to create a cutting-edge, replacement site which was simple to manage, easy to use and on-brand. The site needed to be easy to navigate and act as a showcase for Red Earth's expanding portfolio of past, present and future projects. An updated Logo was also necessary and we were delighted to help Red Earth with their new design requirements. Based on the latest WordPress CMS, Red Earth's new responsive website features portfolio galleries of all of thier past developments. Supplied training allows the client to easily maintain their new site and as always, we are on-hand should they require technical or further development support and to ensure that their long term hosting and security is maintained. We needed to update our website and were rather dreading the whole process - but Peter, Dee and team were very efficient and instructive and made the whole process very easy. Very pleased with the result and new look. thank you team.